Explosives manufacturer Orica has announced the release of its next generation BlastIQ digital blast optimisation platform. BlastIQ, which has already been integrated into several operations around the world, was designed to optimise blasting outcomes by integrating data and insights from digitally connected technologies across the drill and blast process. 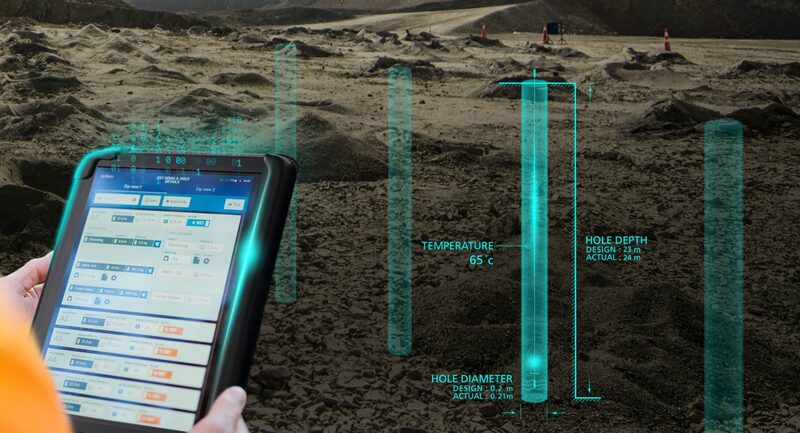 It incorporates a suite of enhanced technologies that can reduce the overall cost of drill and blast operations, as well as an information management component that provides a secure, centralised online location for users to collate and collaborate on data from across the drill and blast process. Orica Chief Commercial Officer, Angus Melbourne said the new BlastIQ Platform enhances blast performance and outcomes for customers by seamlessly connecting data under a single platform. “Orica wants to transform how drill and blast unlocks mining value for our customers, utilising digital and automated technologies to create safer, predictable and more productive blast outcomes – BlastIQ enables us to collaborate with customers to realise this transformation,” he said. Orica Global Digital Product Manager, Angelo Labriol said optimised blast designs are developed using the company’s market-leading SHOTPlus 3D design and modelling software, which has proven capability to manage both simple and complex blast designs and initiation sequences. “Our SHOTPlus design tool improves productivity by integrating seamlessly with the BlastIQ Platform,” Mr Labriol explained. Orica has also introduced a comprehensive training, support and Customer Success Program for the platform, aimed at tailoring each BlastIQ implementation specific to a customer’s needs. Mr Labriol said where a BlastIQ enabled delivery system is not available, a BlastIQ Mobile device can be used to capture and record as-loaded data during the delivery process. “Delivering the necessary insights and analytics helps the drill and blast team to easily monitor and manage key blasting KPIs, providing them an essential tool to optimise blasting outcomes,” he concluded.